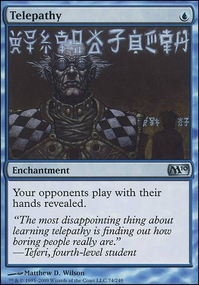 Can you manipulate your library in response to opponent casting to make Counterbalance work? 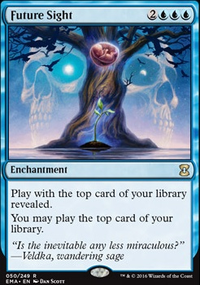 Whenever an opponent plays a spell, you may reveal the top card of your library. 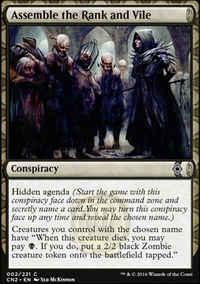 If you do, counter that spell if it has the same converted mana cost as the revealed card. 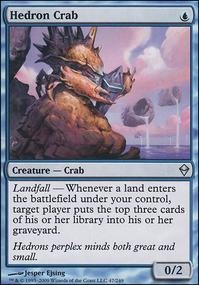 Counterbalance loses reliable targets in a casual meta when there is a diverse range of mana costs present in other decks. 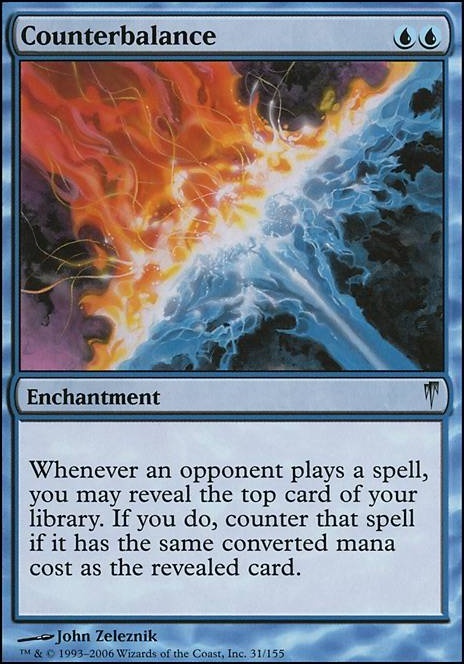 It works better in cEDH when most of your opponents have cards with primarily CMC two or less for a large portion of the deck, and you can just manipulate your topdeck to counter those spells. ive only playtested a handful of games with running Counterbalance both with and without Crystal Ball ... its ok... my biggest gripe with the ball is that because its "just ok" ... yeah the scry 2 at instant speed has helped but because it 's ontop of paying it feels like its not worth trying to combo and i find myself tempted to run just a straight up hard counter or wipe/removal in its place to Just blindly jam in a Counterbalance to essentially get close to the same value from it as a general "card advantage engine" rather than a soft lock. so far of the things said i really think that Doom Whisperer with counterbalance seems ridiculous in a deck jammed with 1-3cmc spells to stave off removal.... maybe Disinformation Campaign and or Death's Shadow would be good synergy with that.... but then again with a 6/6 flying trampler in play i wouldn't imagine you'd need counterbalance to work much more than once lol..... really cool stuff thanks guys. As far as Counterbalance mimicing Chalice of the Void ... no, they don't serve the same function. 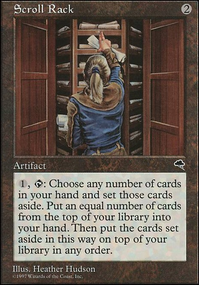 Chalice locks both players off a CMC for the rest of the game (or until chalice dies) while Counterbalance locks your opponent off of one specific CMC for one turn cycle. Stacking Counterbalance s does nothing, while stacking Chalice of the Void with different charge counter amounts further locks out your opponent. They perform different functions, even if they go about it similarly.